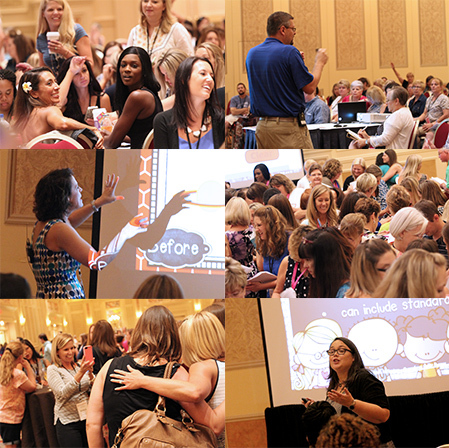 The 3am Teacher: TpT Conference in Vegas 2015 Attendees: Mock Design Panel Q&A All Week!! TpT Conference in Vegas 2015 Attendees: Mock Design Panel Q&A All Week!! As many of you have probably heard or read, I will be teaching a session at the upcoming TpT Conference in Vegas this summer!! I will also be sitting on the design panel to go over a few key design tips and to answer your questions!! I am currently working on the takeaway notes for the design panel and my brain and I have been running into a few snags along the way. The topic of "design" has such a huge range that I am finding it difficult to choose just a few key points to address. I am depending on all of you to help me focus in on what key points would be most relevant to you. I want to make sure that you all get the MOST from me while you're there and I can offer and share knowledge that you can actually put to good use when you go back home and begin working to improve your blogs, products, and/or shops. I am asking all of you to think of this post as a "mock" design panel and I would like for you to pick my brain with all of your design questions pertaining to selling on TpT, creating digital products and clip art, taking custom work, or maintaining your blog or websites. Your questions will help me to determine what I will choose to focus on so you get the most from the time we have together. I would like to keep the discussion going for the remainder of the week. Please feel free to ask me more than one question in the comments section below, but keep the questions limited to one question per comment (I hope that sentence makes sense.. I am pretty tired right now). What Programs are best for creating........? Your "mock" questions will be invaluable to my planning and preparing and I am so grateful to those of you willing to ask questions below!! BRING 'EM ON!!! Staying ahead of the curve in terms of trends in clip art, creating covers, etc. Thank you so much!! You got it!! Deanna Jump will be teaching a session on updating old products that I'm sure will be fantastic!! Organizing clipart seems to be a common dilemma, so I will definitely put something together to touch on that topic. I just bought a camera in December and I have been learning to use it. I LOVE how beautiful the pictures come out, but editing takes more time I just don't have right now. If you go to Amanda and Kevin (a site/blog), she has a great post on taking great photos for blog posts. That would be a really great topic to address because everything seems to be moving in a direction towards "real life" marketing and branding with high quality photos and mock-up photos. Hmmmm... I will definitely think about that.. Thank you so much! Your blog design is a reflection of you and what you are all about. Think about what you want your visitors to know about you as soon as they visit your blog/site. You have 3 seconds to impress the average person browsing blogs. Navigation, organization and content are the most important. You could have a really terrible blog design (not that you do.. hypothetically) and if the content is easy to navigate and find and you provide quality, then your visitors will stay a while longer and keep coming back. I always recommend getting a custom blog design...and not just because I create custom blog designs... haha.. It is beneficial to have a design that is unique to you and will visitors to recognize your online identity. There are way to many blog designs that look alike... it confuses visitors. If you like "cute", then keep "cute" because it is a reflection of you.... as long as it's unique, then you should be fine. Just make sure your blog is easy to navigate and you ahve taken the time to organize your content well enough so that people can easily find content on specific topics you provide. If visitors can't find what they're looking for within a few seconds, then they probably will not come back. I hope that was a little insightful... trust me.. there is so much to learn in this area that I am always growing and changing myself as well..
My session will actually cover all of this. I actually first started out with a Bamboo, but that only lasted a couple of weeks. I mailed it out as a gift to another blogger who wanted to start creating clipart a few years ago and decided to invest in the right tools. If you are looking to really create quality graphics to use or sell, then investing in the right tools will be key to getting yourself to the right level. I know it is super expensive and most can't justify the expense. If you don;t believe in yourself, then no one else will.... If you believe in yourself and you can draw, then find a way to invest in the right tools. It will benefit you in the long run. Thank you so much for your input. I think this will definitely be something we can go over during the design panel and I actually have some fun tips and resources that might help make organizing clipart files a little simpler for everyone. I did not get to go last year, so I know how you feel!! Deanna Jump is doing a great session on updating old products. Why...oh why...does my .png image look crystal clear everywhere EXCEPT when loaded as my cover thumbnail on TpT?!? Or probably more appropriate to the general audience...how to create marketing images (not photos) that look sharp regardless of the size needed for varying use. 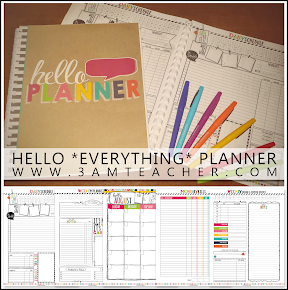 I am a complete newbie to the blog/TPT world! I often wonder what the balance is on having free products/ideas vs. TPT featured products on your blog. The people that seem to be really successful feature a lot on their products on their blogs. Some basic suggestions for the newbie to the blog/TPT realm. The "tricks" of the business. How to make a well made product with age appropriate clipart. There are a lot of really "cute" clipart out there but using clipart that is fun and geared towards the upper grades. I had another idea... How do I make a file "editable" once it's been saved?